The Bee is modeled, unapologetically, after The Moth, a live storytelling forum and podcast that lets everyday people—like you, perhaps—tell their stories on stage. 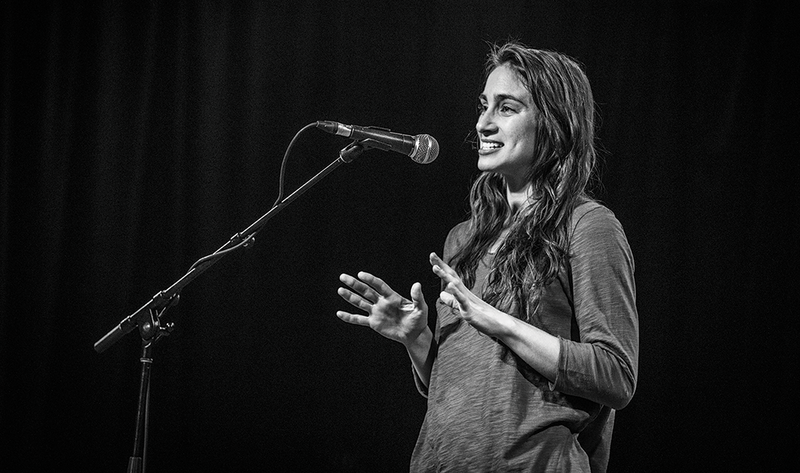 The Moth started in 1997 with five storytellers in a Georgia living room, and grew to larger events with a trademark format: 10 storytellers, five minutes, one theme, no notes. The Bee adapts it for Utah storytellers speaking to Utah audiences, because as we all know, there are some stories you can only really understand if you know the state and its peculiarities. Since 2014, The Bee has hosted their forum monthly; in 2017, they also began hosting periodic storytelling workshops led by Giuliana Serena, the organization's founder, and Nan Seymour, whom The Bee calls their "director of narrative encouragement." Their call to action: "We believe that stories matter, that we are all storytellers and that everyone has stories to tell." It probably doesn't sound like groundbreaking art to say that Salt Lake Acting Co.'s world premiere of Kathleen Cahill's Silent Dancer is a theater piece that includes dance; choreographed movement has been part of musical theater for almost as long as there has been theater. But there's something unique about the way the play's creative team—playwright Cahill, choreographer and Ballet West veteran Christopher Ruud, director Cynthia Fleming—and their cast make use of dance. 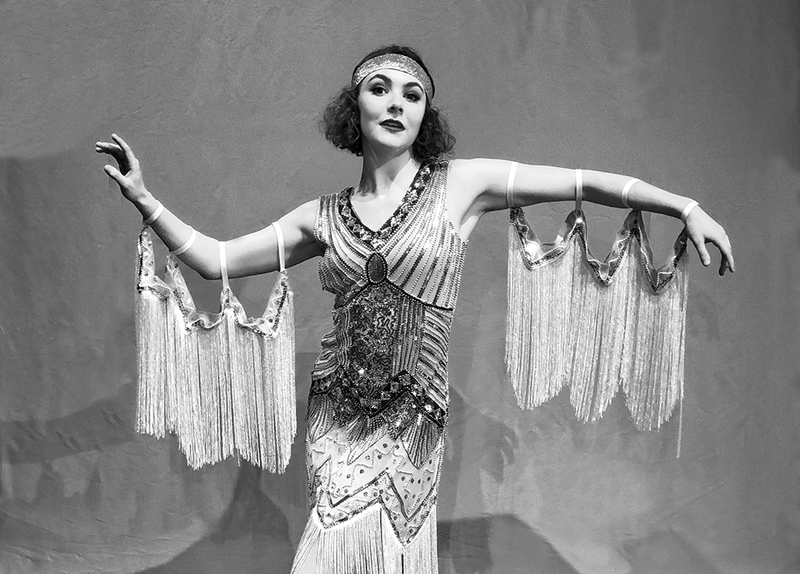 Set in 1920s Jazz Age New York, Silent Dancer combines the fictional story of an aspiring dancer with famous real-life figures from the era. The dance sequences at a cabaret club are era-appropriate pieces choreographed by Fleming, but the narrative also includes actors speaking—not singing—their dialogue while moving to Ruud's choreography. "With all the years we've been developing plays, I feel that we're diving into this new form," Fleming says. "I had a lot more fear going into this project than I would ever let anybody know. The development process has taken more than four years, from Cahill's initial broad concept, to approaching Fleming and SLAC, to inviting Ruud on board, and then through workshops and feedback from longtime friends of the company as the artists tried to balance text and movement. The result is something that Fleming proudly refers to as "a COLLABORATION, in all-caps." 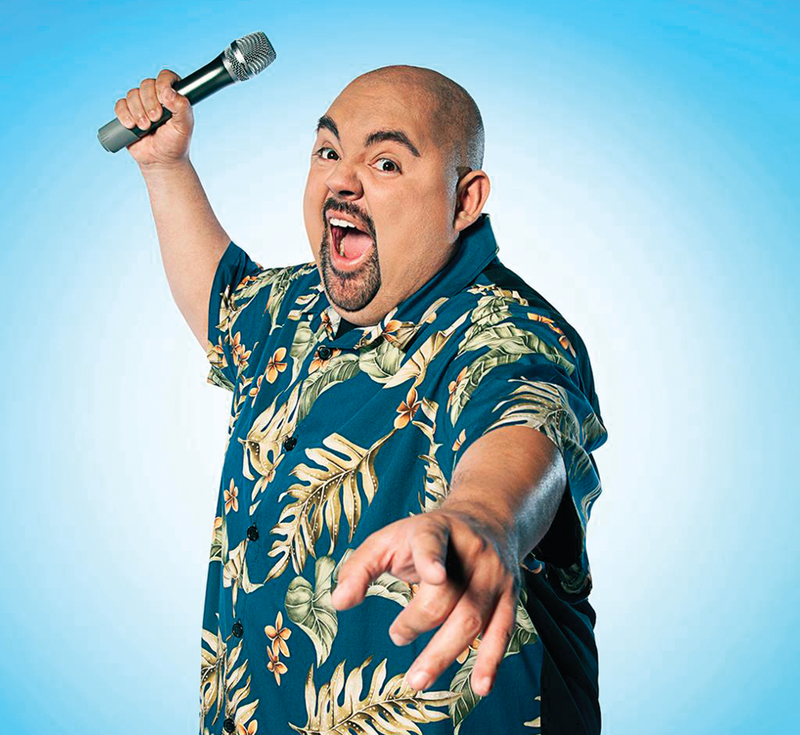 Gabriel Iglesias is hard to miss. The veteran stand-up comedian is a big guy, a fact he consistently references in his self-effacing monologues. He refers to himself as "fluffy," suggesting that with all his bulk, he's really kind of cuddly. That said, he notes that there are four other overweight categories: "big," "healthy," "husky" and "damn!" He later added one more: "Oh hell no!" The fact that he takes pride in his size suggests he's not exactly a prime candidate for the next Weight Watchers spokesperson. As a Mexican American, he's also well versed in sharing the cultural quirks that accompany his heritage, with the ultimate result that even as the crowd laughs along, they recognize a common connection that's obvious to all. That might be part of the reason he's garnered tens of millions of followers on social media and has been accorded an international audience. His penchant for wearing shorts on stage has also become one of his trademarks. Iglesias insists he simply hates wearing pants. Besides, he says, a nice breeze makes for a really good day. Hmmm ... nothing wrong with a cheap thrill. Presenting a pictorial autobiography spanning 30 years of work and many decades of transformation, Richard Gate's Anthology intertwines his personal experiences with the influences of science, history and art. Born in Ontario but raised in the red rock country of Southern Utah, Gate has spent a lifetime sketching impressions born of his travels. With a childhood spent mainly outdoors, Gate had very little exposure to art or culture. Yet inspired by Utah's landscapes, jazz, and the subcultures of the '60s, Gate began making collage artwork in high school. 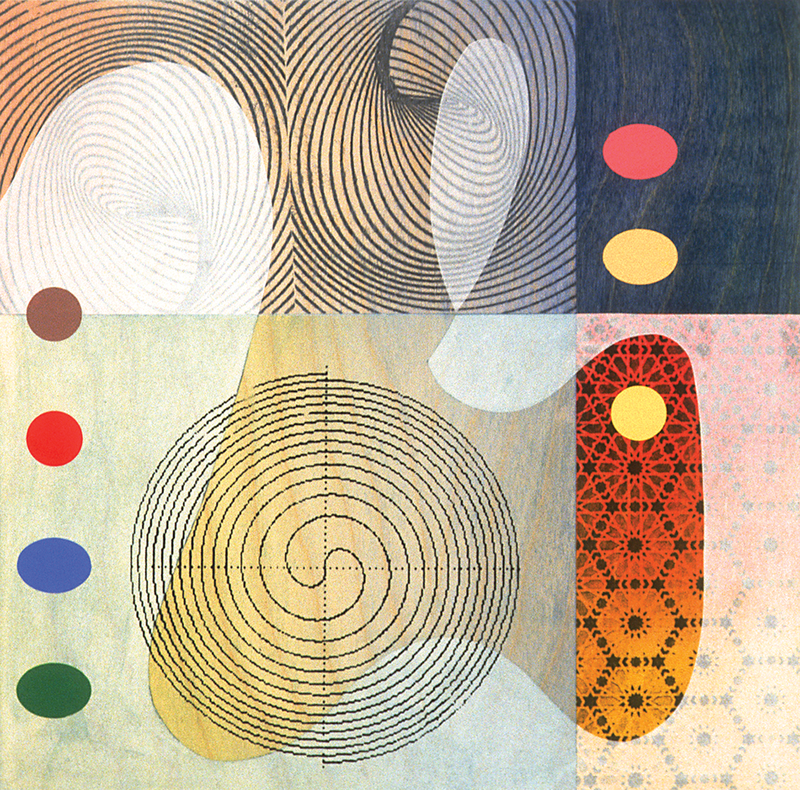 Merging modernism with key personal moments, Gate's pieces display the heavy influence of the Southern California hard-edge painting movement, fusing geometric abstraction and bold color into patterns of poetry on paper. "Even though Abstract Classicism seeps into my collages, making them crisp and colorful, I work hard putting images together so they don't look like they are collaged," Gate says.